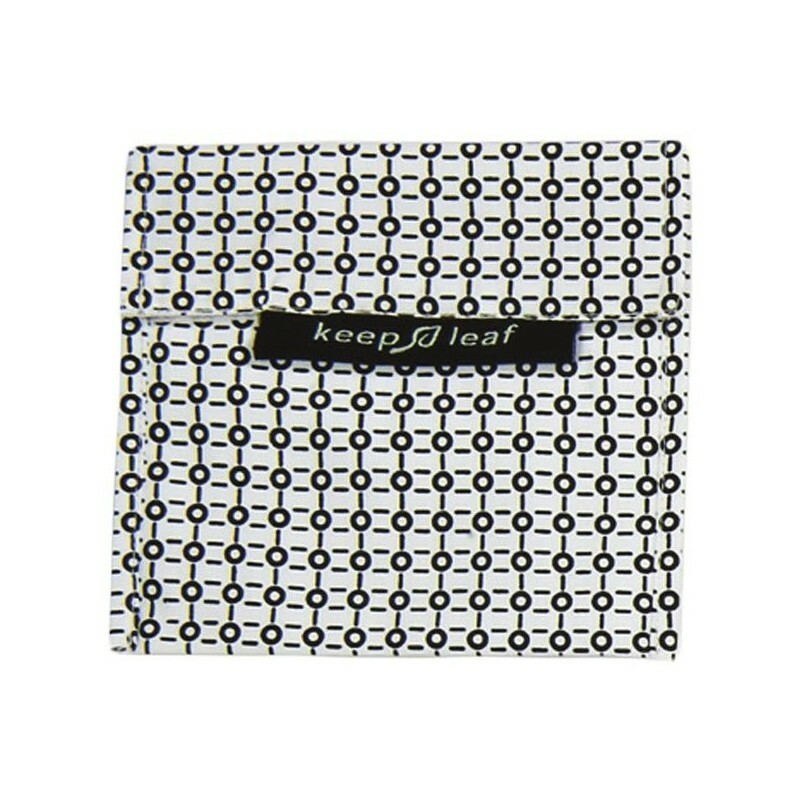 This reusable 100% cotton baggie helps you avoid using disposable plastic in your lunch. 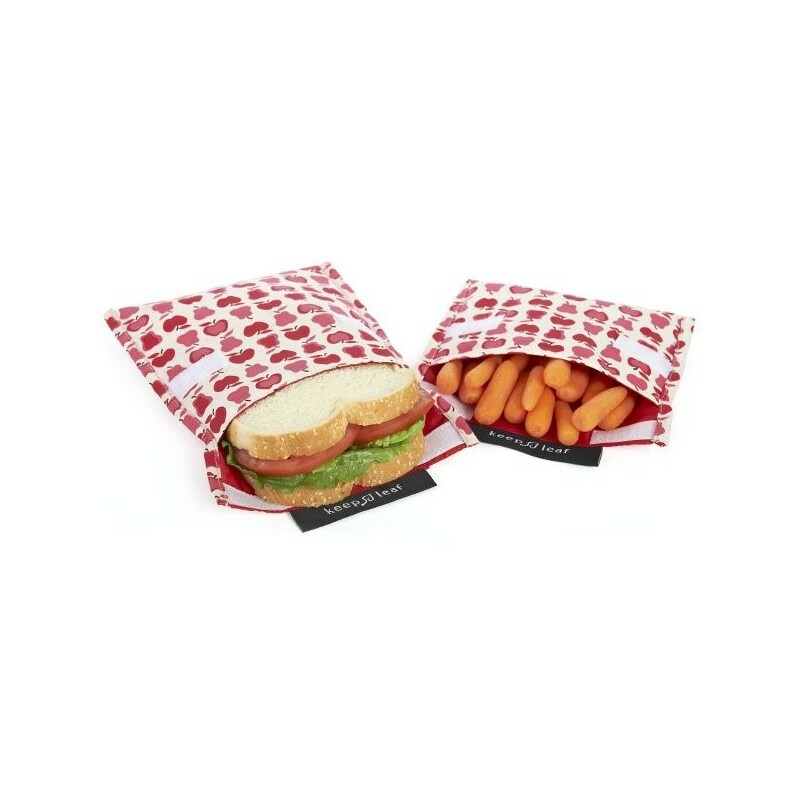 This baggie features a cute design and an easy velcro closure with a food safe liner that keeps your food fresh. Free from BPA, lead and phthalates. Black and white pattern. By reusing rather that buying disposable plastic alternatives. Lead free, BPA free and phthalate free. 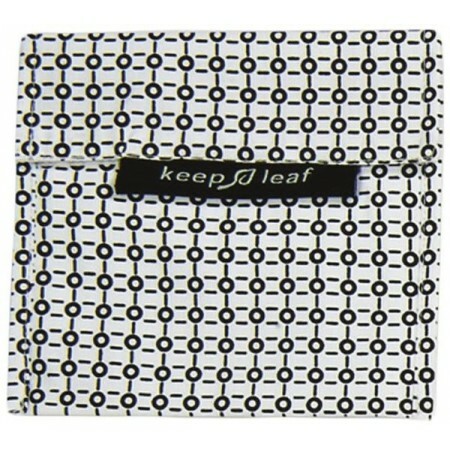 Durable waterproof & food-safe liner. US Company with ETI (Ethical Trade Initiative) certification. Nothing spills out, it keeps contents fresh in a funky looking way and I simply turn it inside out to give it a rinse after use. I hate zip lock bags, so this one is a keeper and will definitely last a long time!